While the Wii Remote solved a variety of problems and won over its critics, we were then faced with a new challenge. In order to actually play with the Wii Remote, we needed to attach a sensor to the TV. There is no hiding the fact that many people voiced their concerns about this until the very end. I'd therefore like to hear from everyone what misgivings and expectations they had over the Sensor Bar. So, Ikeda-san? Since I'd worked on products using acceleration sensors before, I had a general idea of the characteristics and limitations I could expect from this technology. From that experience, I already knew that we would need an absolute reference point near the TV in order to improve reliability of control. If you fail to accurately detect the beam connecting the controller to the TV, and fail to establish an absolute directional axis, you won't know where the pointer is directed due to the margin of error that arises. This must be clearly fixed in order to make it obvious to the user the results of their actions. To put it the other way round, the feasibility of the controller rises immensely if you have axes to measure both acceleration and direction. In this regard, the Sensor Bar was absolutely indispensable. This so-called "beam" connecting the user and the television was something that had never been attempted before. Didn't you run into any difficulties during development? In the early stages of development we ran into a number of problems that we hadn't anticipated, like the fact that the controller would react to fluorescent light, for example. Creating a mechanism that prevents the controller from responding to fluorescent light and sunlight may not sound overly difficult, but it still caused us a good deal of trouble. I imagine that designing the actual Sensor Bar also raised an entirely different set of problems from those raised by the controller? That's right. As I said before, the Wii console was originally designed to be extremely small and simple, so that it could be placed amongst all the AV equipment packed in around the TV without being conspicuous. But, now a Sensor Bar would need to be attached to the TV. Its design proved to be more problematic than I ever expected. It wouldn't have been acceptable to simply brush the issue aside by suggesting that it just be placed on top of the TV. After all, flatscreen models are becoming the norm, and since they are designed to blend into the overall design of the living room, we had to consider how the Sensor Bar could be adapted to this. For example, should it be placed above or below the screen? How could we make it so that it would fit with a variety of TVs? What colour should it be? I remember taking countless prototypes to Mr Miyamoto, but they were all rejected... How many times did you turn down our designs in the end? That's right! (laughs) People had to get around this nuisance in order to play a game, didn't they? Certainly. You could say that the hurdle we had to overcome this time was much smaller in comparison! (laughs) In any case, when this kind of technology is eventually integrated into televisions, there may no longer be any need for the Sensor Bar. But we're in a period of transition at the moment, and we have no choice other than to have the customer attach this device. For this reason we made it fairly small, because we were really trying hard to make it inconspicuous. For the cable alone, there was a lot of debate over whether it should be black or grey. We also made it so it could extend from either side of the sensor, so that it would fit perfectly against the TV. Of course, you have two kinds of people - those who will attach the sensor any old way, and those who will do their best to conceal it. We tried to meet the demands of the latter. We thought about all possible TV shapes and stands, and did our best to make it fit perfectly. Actually, this was one concern that resulted in Mr Miyamoto turning down a lot of designs. In our earlier designs, the cable came out of the back of the sensor, and didn't fit snugly against the TV. Right. So we really went all out to make it finally click into place. With Mr Miyamoto, the design will often be changed just when the ship is about to leave port! (laughs) And because of this, the hardware gets a little bit better. This happens every time. Also, there was a lot of debate over whether or not to show the Sensor Bar to consumers at game exhibitions, wasn't there? Yes, but when recommending Wii, you really have to point out the existence of the Sensor Bar. Basically, you should show it off rather than hide it. I wouldn't want a customer who has just bought a Wii to think "What on earth is this?" So, right from the start, we had a clear policy of essentially asking the user to put up with the Sensor Bar in exchange for all the enjoyment they would get in return. I think our customers will be able to fully enjoy Wii if they understand the significance and technological importance of the Sensor Bar. For example, they can experiment with finding the best place for it. Well, there's no denying the fact that some people were worried that users would be put off by the Sensor Bar, but in the end I feel that we've overcome this barrier. So, that's how the specifications of the Wii controller were decided. However, it wasn't until the Tokyo Game Show last year that it was unveiled to the general public. I was up on stage at that event, and I still vividly remember the silence that followed the video that introduced the controller. It felt like time was standing still... It was as though the audience didn't know how to react. Given that you'd all worked so hard on the controller, what did you think of that reaction? I thought that the video alone didn't really give them a good enough idea of the controller, did it? It's entirely possible that they felt a bit perplexed because they hadn't had a chance to get their hands on it, to actually experience it. For me, audience reaction aside, I was really pleased with the demo video that we'd made. I felt that the video did a more than adequate job of conveying our concept. I finally felt relieved after some parts of the media started singing the praises of the Wii console after the presentation. I still felt we had a long way to go, but we'd reached an important milestone. Like Mr Takeda, I too was very much on edge. I was certain that they wouldn't understand Wii unless they actually tried it out for themselves, and so I was unsure how convincing the presentation alone would be. Everyone was clapping, but I couldn't help but wonder whether our message had gotten across, or whether people thought it was too unconventional. However, looking at the other unveilings at the Tokyo Game Show that day, I was very much relieved by the fact that Nintendo was the only one doing something new. Everyone else seemed to be just polishing up something that everyone had already seen before. Around the time of the Tokyo Game Show, we had a chance to let external game creators actually try out Wii for themselves, didn't we? What kind of impressions did they have back then? For the most part, their feedback was very positive, which was a great relief. Needless to say, there were a few cries of dissent, but most people were left with a favourable impression. I was often left in charge of explaining the controller's functions, but it was only when they actually got their hands on the controller that their faces would light up. Seeing this, I really felt as though we'd scored a hit. And then, immediately after they had a go on Wii, they started coming up with ideas. Right there and then they were already discussing what they could do and how they could do it! I was amazed by the speed of this. Producers are more likely to pick up the controller and start thinking about its limitations. Creators, on the other hand, are more likely to look at what is possible, come up with ideas and ask a lot of questions. They'll go home with smiles on their faces, won't they? I think it's natural for us to see both of these reactions. If I was just suddenly shown the controller, I'm sure I'd think "What will this do for Zelda?!" Moving on, the next unveiling was at E3 this year. Although we were already getting feedback from developers, I think we were all a little anxious to see how the consumers would react once they actually had a chance to try it for themselves. You were all at E3, and got to see their reactions in person. How was it? Let's start with you again, Ikeda-san. I spent all of E3 at Nintendo's exhibition corner, and I've never witnessed at previous E3s anything like the excitement I saw there at the Nintendo booth. We had that glass case with lots of controllers lined up, didn't we? The people crowding around there, it was a truly unforgettable sight. There were so many of them! Sure, there have been displays like that in the past, but the atmosphere… it was the first time I'd ever experienced anything like that. There was a great air of excitement, wasn't there? Their eyes were glued to the case! That's what I remember the most. I actually found myself wondering "why are they smiling so much?" as if I didn’t know what they were doing. I wondered what was happening. It was the thrill of getting their hands on something new, wasn't it? Perhaps it was because they finally got their hands on something they'd been wanting to try out for so long? Sure, moving things around on-screen is fun, but with Wii, you feel as if you're actually part of the action. You know that those people waiting in line and looking at the action on-screen couldn't wait for the people in front of them to get out of the way. Ah, I felt that, too. Takeda-san, you were in charge of development. How did you feel about what you saw at E3? But we weren't finished. In fact, there's still more work to be done, even now! Well, the hardware is pretty much finished. Let's move on to the software side of things. Is there anything that exceeded your initial expectations? 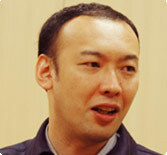 Ikeda-san, you designed the controller. How did you feel when trying out some of the recently completed games? That's true. Even though I came up with the specs for the sensor, more often than not I'm saying to myself, "Wow! You can use it like this?!" I get such a kick every time I make that kind of discovery. People consult me about issues and concerns, and there are times I need to consult other people. Well, in a nutshell, we're all having the time of our lives! Of course, over the last few years, the entire software team has been under constant pressure to come up with new ideas to attract the public to our games. This pressure, and by contrast, the joy of making a breakthrough, are felt all the more strongly because of our experience with the DS. That excitement that comes with breaking the mould really spurred us on. For example, even if you make a game like Wii Sports Tennis, the character you control looks like a kid's doll. But by just swinging the controller, the player brings it to life! Thinking in terms of the standards we used to create more realistic tennis games in the past, ideas came flooding in from developers that we would have dismissed out of hand back then. In fact, there are some people who will try to make games simpler than they need to be, so I was even suggesting that we make the game more elaborate! (laughs) So, as you can imagine, I'm in a really good mood! That brings me to my final question. Why do you all think Nintendo was able to create such a controller? Please feel free to summarise what you've told me already. I think it is because Nintendo is constantly searching for something new. Earning praise by challenging the norm, I think that's Nintendo's style. For me, it's the teamwork between our hardware and software divisions. 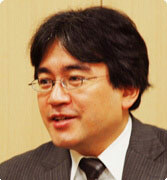 This cooperation gives Nintendo the power to come up with new ideas. I believe that we should work to maintain our culture and tradition of teamwork. I feel the same way. It's all thanks to the traditions we have here at Nintendo, or our DNA if you will. This controller became a reality due to our constant belief in the need to keep entertainment fresh, and our ambition to do new things. 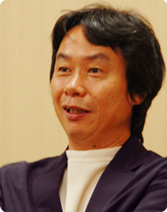 And last but not least, Miyamoto-san. As someone who has hands-on experience in the production process, there is a part of me that is always a little conservative about new ideas. So, it's important for us to acknowledge that we're prone to being conservative, and in turn surround ourselves with individuals who will help break down our conservatism. Nintendo thinks about both the hardware and the software in order to create a complete product. Companies like this are few and far between. Wii reminded me of that fact, and I realised all over again that Nintendo is a company that is at its best when developing innovative products. 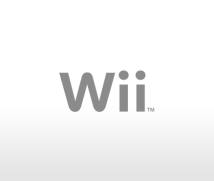 In bringing Wii to the world, we've filled up countless boxes with mock-ups, prototypes, trial software, and so on. But I truly feel that none of our efforts were wasted. These concepts came and went at a remarkable pace, until we came across those special technologies that solved all of our problems at once. Nowadays, nobody has any doubts about the "d-pad with two main buttons" interface. But twenty years ago many people wondered whether such a controller could really be used to play games. So, if we continue to do what we know has to be done, our controller, which now appears quite unusual, may very well become the new standard. As someone who has made it their life’s work to make innovative products, I feel very lucky to have had the chance to witness this story from beginning to end. Everyone, thank you very much.